Nothing better than a bunch of superheroes to protect you from any criminal who would dare steal your.... pencils ! 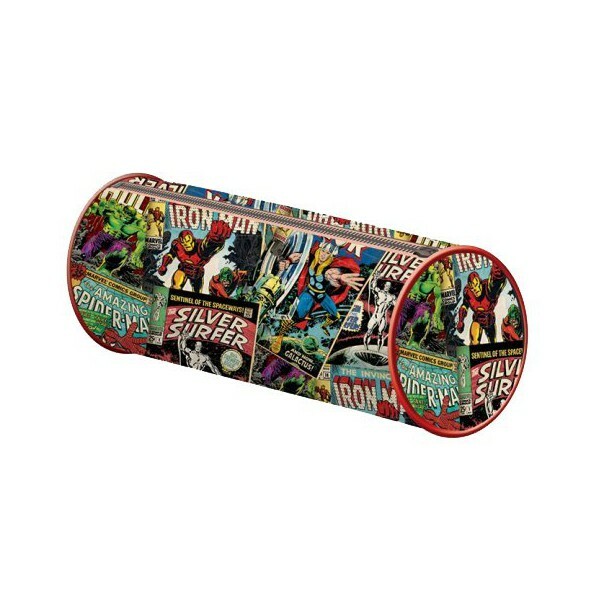 Put them all in the retro Marvel pencil case upon which Iron Man, Thor, the Silver Surfer and many more are ready for action. 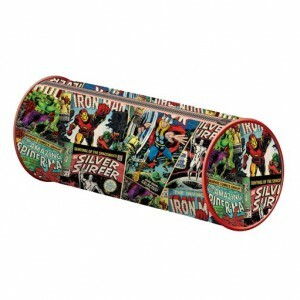 This Marvel comics pencil case has been created by Pyramid International. It is made of polyester and approximately 20x8cm. Il s'agit d'un produit sous licence officielle Comics.